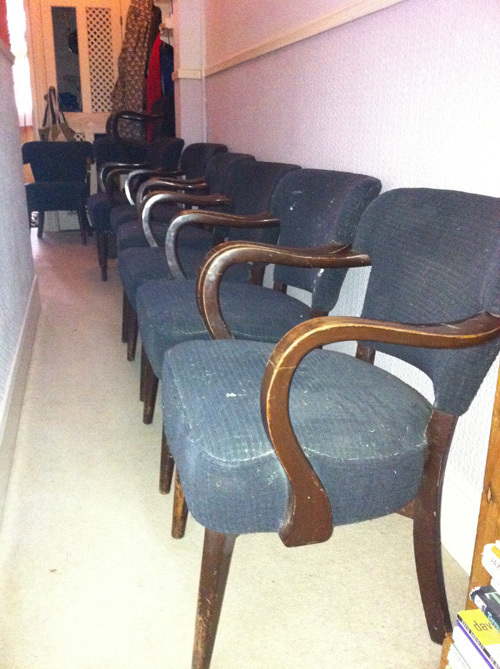 Finally, Polly Granville has got studio premises. What an absolute delight to hang up my tools and know they will be there when I next look, gone are the days of moving things around the house to make way for guests, the kids supper or just to sit down and do some paper work. 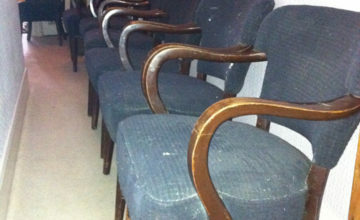 Gone too are the 10 steam-bent pub chairs in my hallway! It was great to not have to travel to work but the temptation to hang up the washing or go through the post could be too much. Now I get down there first thing and don’t leave until it’s dark – a good honest day’s work! We have a fab workroom and storage space in one of several railway arches with a collection of artists, web designers, chandelier makers and many more. Everyone is really welcoming and we are hoping to become part of the Park Mews family very soon. Run by Adam Perry, it is an unusual space which he has made almost entirely from recycled materials including support props left over from the construction of the channel tunnel. Best of all I can cycle there from home in 20 mins nipping through Brockwell Park – roll on the summer!